Modern commercial boilers, particularly high-end ones, are generally more efficient than old outmoded boilers, both in terms of fuel consumption and their durability. But this does not necessarily mean that just buying owning one, you’re getting the best performance from your commercial boiler. Relying on your boiler to optimise itself isn’t going to bring you maximum efficiency. Whether it’s minimising fuel consumption or reducing running costs, there a multitude of things that you can do to ensure you’re getting the best possible performance from your boiler. 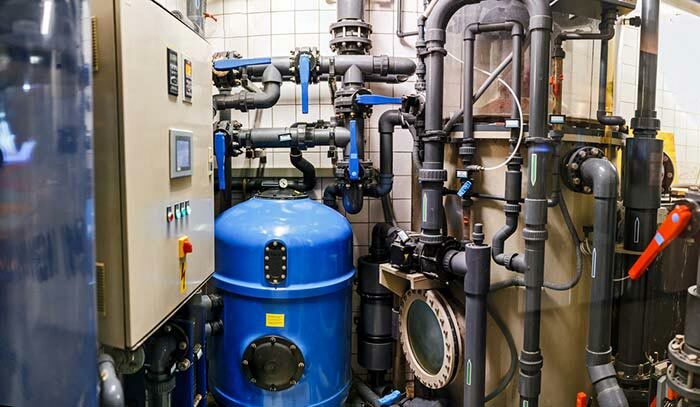 If you are wondering whether your modern commercial boiler is operating at 11 and what you can do to help it do so, here are a few things you can start with. Many existing boiler installations involve installing a modern commercial boiler on top of an older system. Although on the surface replacing the boiler and re-using the rest of the system seems like a good money-saving tactic, it’s actually counterproductive. Because the existing ageing system may contain debris and dirt, it can drag down the performance of the new boiler and shorten the lifespan of the new boiler – costing you more money in the long run. Older systems also tend to not perform to the same standards as a modern boiler, even if they are in relatively good shape. Whether it is because they are outmoded or because age has already led to the breakdown of components, it always results in reduced efficiency for the system as a whole. Implementing water treatment as much as possible will help prevent the additional corrosion of internal parts due to age and dirty water. It is therefore always smart to first check if the existing system is not hindering the newly installed boiler with a professional service. One advantage that modern boilers have is that energy use can be optimised through inbuilt power saving features, such as settings that only engage the boiler at a certain time or temperature. This ensures that your boiler is only switched on when it is needed and shut down when it isn’t, preventing energy wastage and prolonging the lifespan of your boiler. Another control capability you may want to take advantage of is the ability to arrange your boilers to service mixed-use developments from a central plant room. Essentially, this is where intelligent boilers efficiently distribute heat and hot water to different parts of the building according to their specific demands and needs, without the need to set up multiple boiler points. This type of setup is ideal if your building has a wide array of needs dependent on multiple factors. For example, if you house retail units with modest demand during the daytime, alongside residential units that will require peak heat and DHW in the mornings and evenings. Some of the newer boilers have now been fitted with outdoor weather sensors, enabling them to adjust the heat output to accommodate changes in the temperature of the external environment. If you ensure this setting is switched on, your boiler will automatically reduce the heat in warmer climates and increase the heat in cold weather, minimizing its own waste and fuel use. It can be easy to write off a rising gas bill as an anomaly of use, but if your gas bills are continually rising for no real reason, there may be a deeper issue at hand. If your gas bills are soaring and you haven’t changed the way that you are using your boiler, it could be an indication that your boiler is inefficient and may need a further investigation. Broken components, or general wear and tear, all result in increased fuel consumption – meaning your boiler is working harder and costing more, and performing less. Similarly, keep an eye, and an ear out, for any abnormal stains or sounds around your boiler and the plumbing system. As with any equipment or device that is under heavy use, your commercial boiler needs regular servicing and preventive maintenance. Many boilers degrade and ultimately fail because they were not being serviced or maintained, leaving what could have been relatively minor issues to snowball. Regular preventive maintenance is also a must because it is a requirement for many modern boilers’ warranties. It’s always worth checking whether your manufacturer’s warranty stipulates the need for annual service and maintenance, and if it does, always make sure you use a professional plumber or tradesman with the relevant professional certifications. Regular servicing should stop you from having any nasty, sudden – and expensive – surprises. Making sure you’re getting the most from your commercial boiler doesn’t have to be complex, or unnecessarily expensive. Always do some research on the make and model of your boiler to ensure you’re using your particular boiler’s features to their fullest capacity, and remain observant to any changes in your boiler’s performance. More importantly, be proactive getting your boiler regularly serviced by a licensed tradesman. Whilst the initial investment may seem out of bounds when there is nothing apparently wrong, remember that it is just that, an investment. A plumber can the warning signs and fix an imminent issue before it becomes one, saving you money, downtime and hassle in the process. If you remain diligent in the upkeep of your commercial boiler, you’ll ensure it a long and efficient life for years to come.